Chargers quarterback Philip Rivers warming up before a game. Courtesy of San Diego Chargers Facebook. San Diego Chargers General Manager Tom Telesco did his best to squash rumors that the team was looking to trade franchise quarterback Philip Rivers, Monday at the NFL Annual Meeting in Arizona. Rivers candidly spoke about his reserves to moving his family to Los Angeles last week with U-T San Diego, which sparked debates that the team might be looking to trade him, rather than extend his contract that expires after this season. 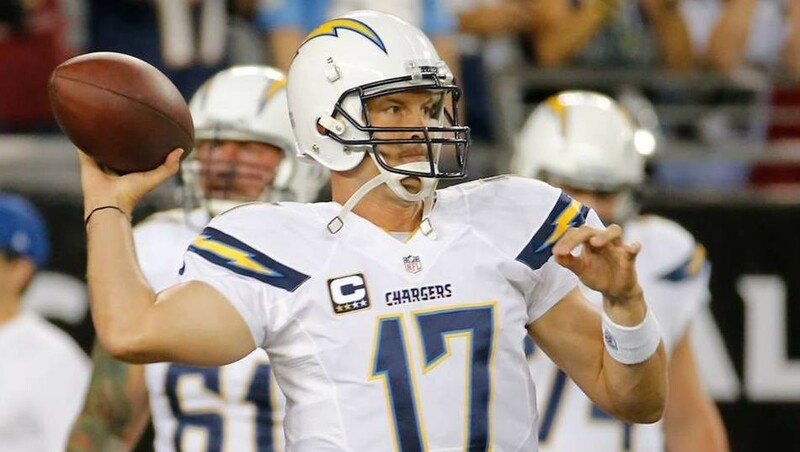 Rumors had swirled that the Bolts might be looking to ship Rivers out to the Tennessee Titans for the No. 2 pick in the 2015 NFL Draft, where the team would presumably pick former Oregon quarterback Marcus Mariota. Telesco did his part to try and silence those rumors. The Chargers currently hold the No. 17 pick in the NFL Draft which will be held on April 30-May 2 in Chicago.